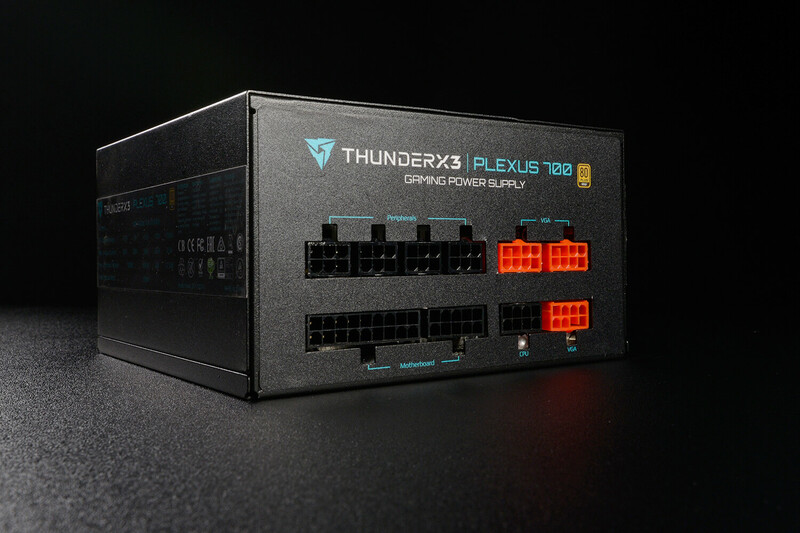 Plexus by ThunderX3 powers your system with style. 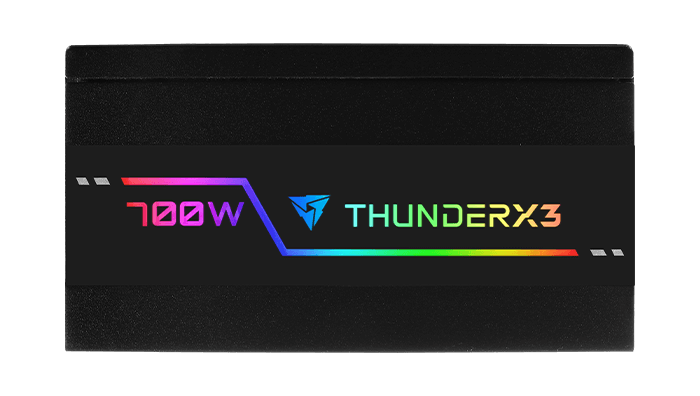 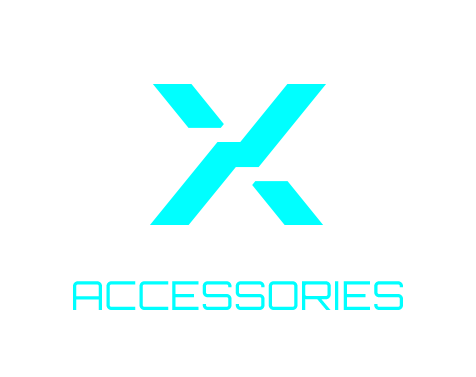 Bringing you the first high-efficiency Power Supply Unit custom tailored to fit your gaming needs and tastes. 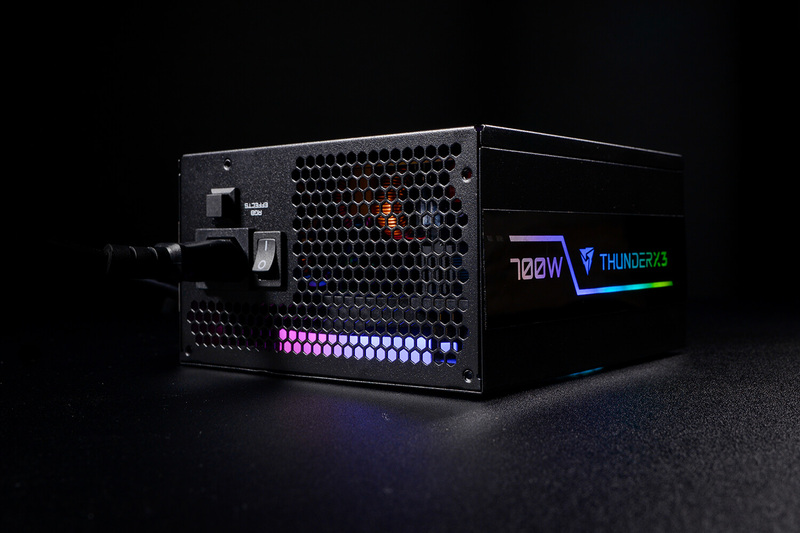 Superior engineering standards, first-class components, and a fully modular design makes this the perfect PSU for high performance. 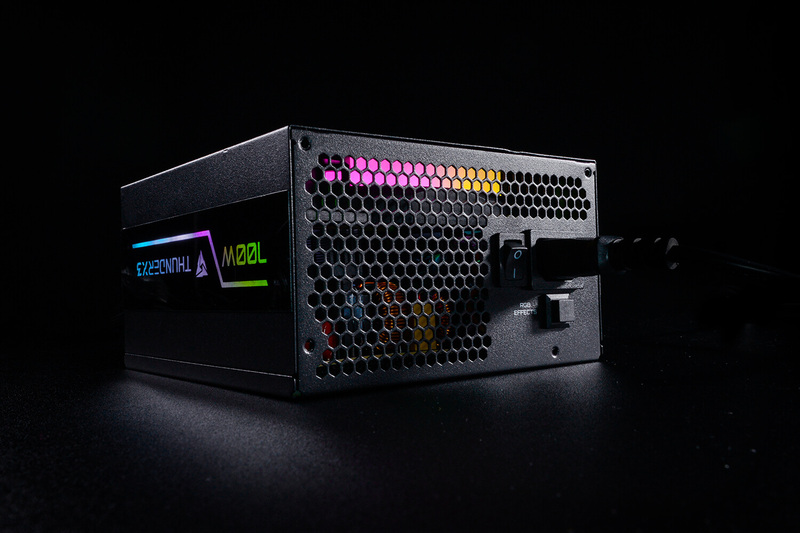 12 different lighting modes including 5 RGB flows and 7 solid color streams will make your system stand out. 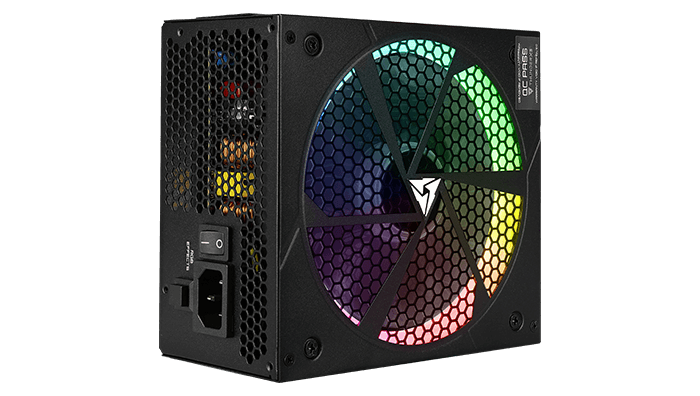 • 12 lighting modes including 5 RGB effects and 7 solid colors. 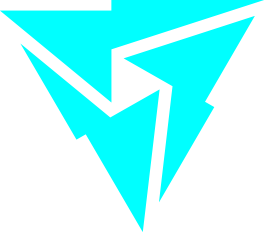 • High-quality Japanese primary capacitors for performance and reliability. 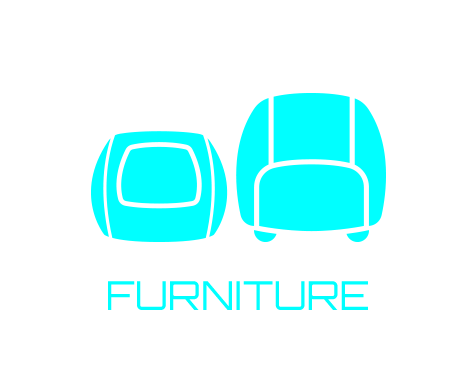 • Fully modular design and cable outlets for easy installation. 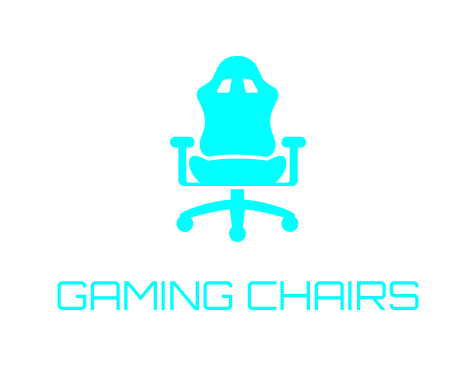 • 80 PLUS Gold certified for highest efficiency. 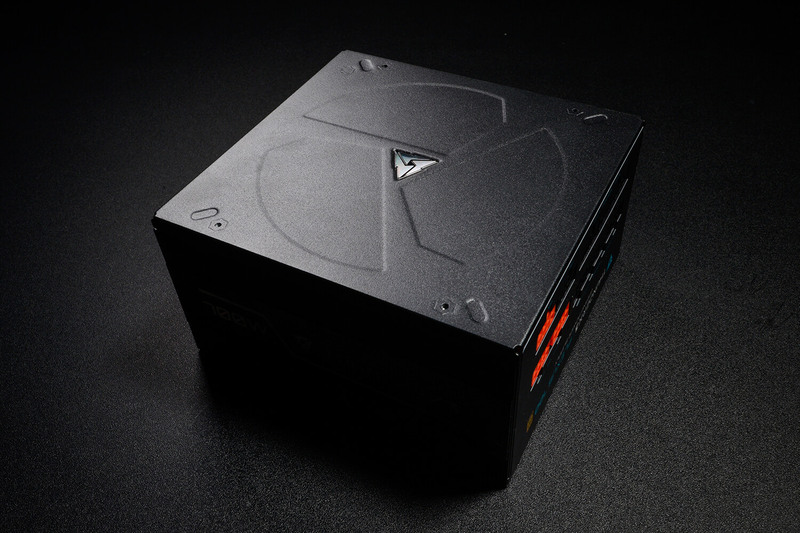 • Thermal speed controlled 14cm quiet fan. 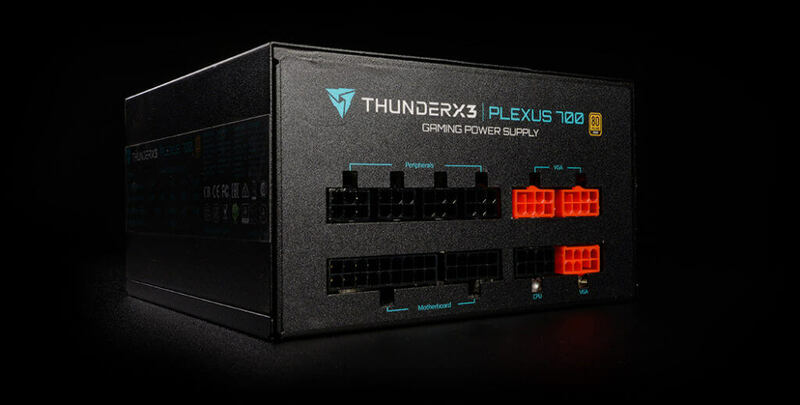 Harness the power of thunder with the Plexus Power Supply Unit built for both high efficiency and performance. 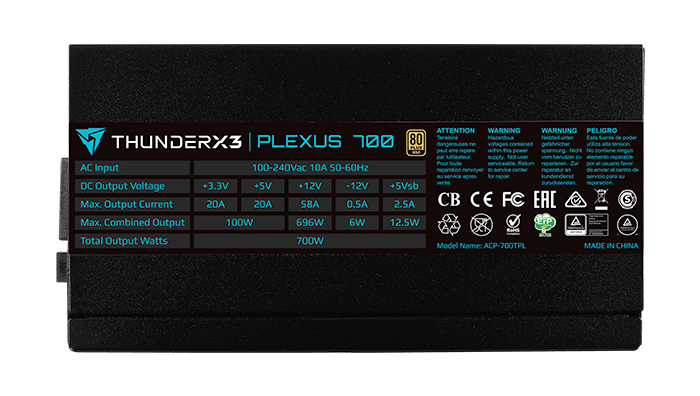 80 PLUS Gold certified, the Plexus checks in at 90% efficiency under a typical load with a maximum power output of 700W. 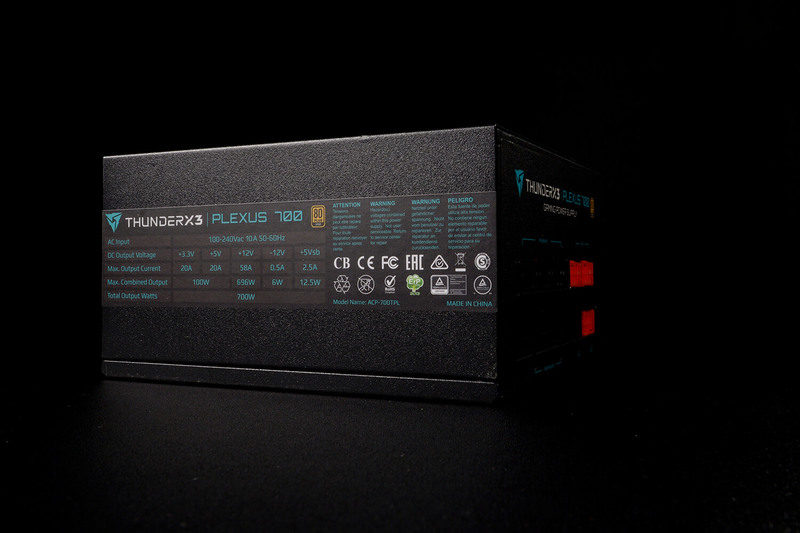 With high-quality Japanese primary capacitors, the Plexus delivers performance you can depend on even under the most demanding conditions. 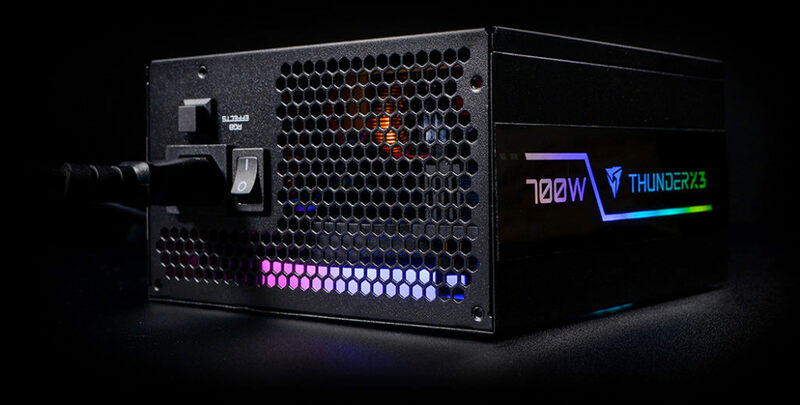 12 different lighting modes including 5 RGB flows and 7 solid color streams will make your system stand out. 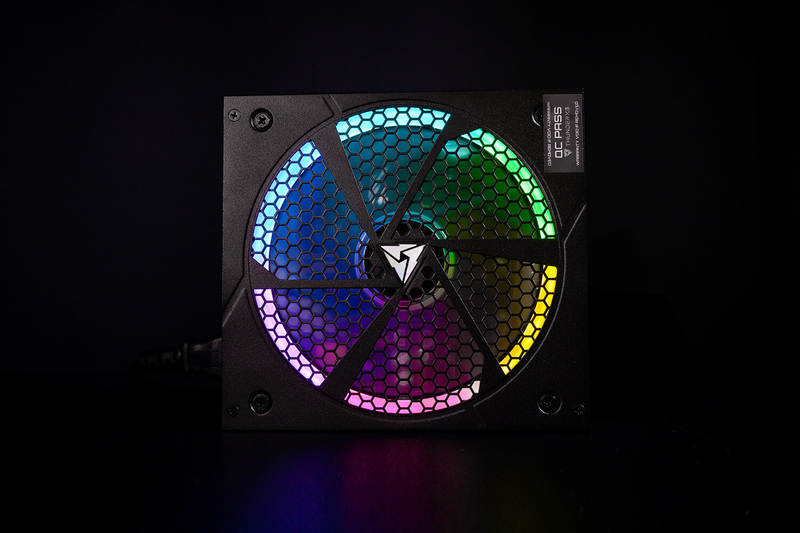 Alternate between 12 unique lighting modes including 5 RGB flows and 7 solid colors with the switch of a button to match your mood and style. 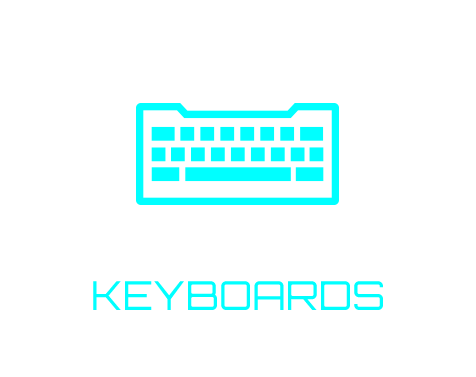 • RGB switch button controls effects. 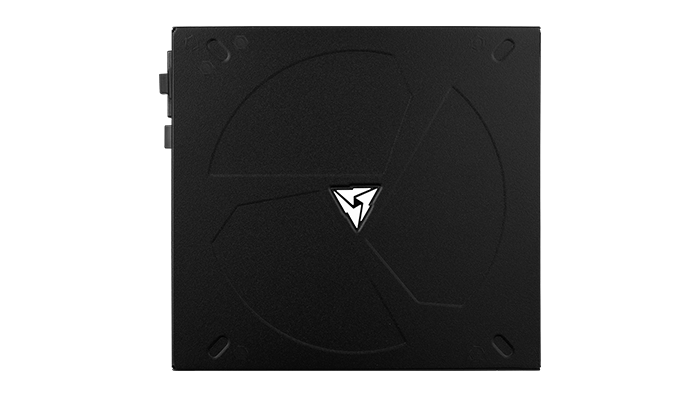 Thermal speed controlled 14cm quiet fan for airflow with minimum noise. 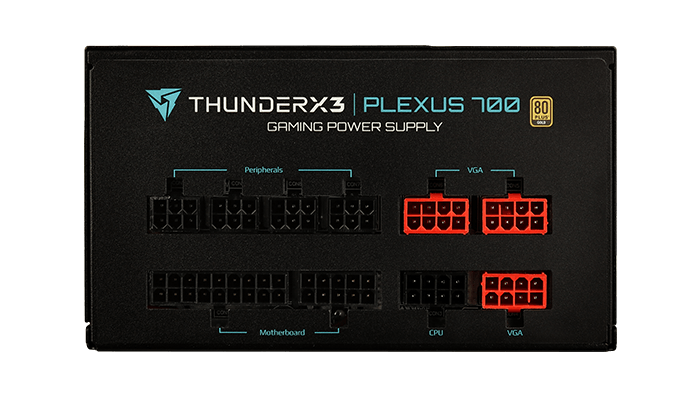 Modular cable outlets and soft black cables allow for quick and easy installation and hassle-free cable management. 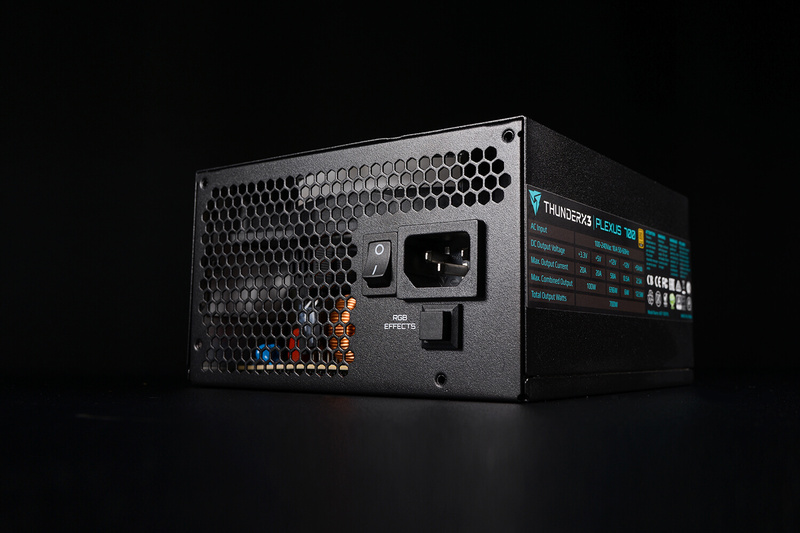 • Conforms to Intel’s ATX12V v2.4 and EPS v2.92 engineering standards for Power Supply. 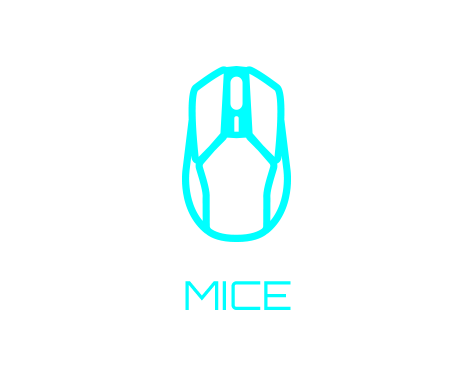 • Power saving mode compatible with the latest Intel C6/C7 guidelines. 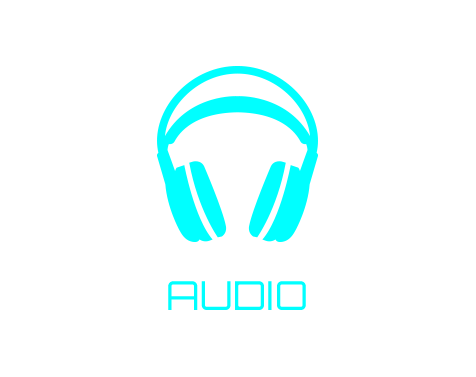 • Fully protected against Over Voltage (OVP), Under Voltage (UVP), Over Current (OCP), Over Power (OPP), and Short Circuits (SCP).